Each time you step into the lab and perform a polymerase chain reaction (PCR) (US patent 4683195) or isolate plasmid DNA with your favourite kit (US patent 20080299621), you have entered the realm of Intellectual Property (IP). In a world that increasingly relies on rapid technological development, the subject of IP, which includes trademarks, copyrights, trade secrets, and patents, is difficult to avoid. Patents are of extreme importance in the biotech world, where IP has been a subject of exhaustive debate. Despite the direct impact patents have on the lives of scientists, there is a limited understanding of what a patent is and what can be patented. Simply stating, a patent is a protective license granted by a government to an inventor for a limited time—usually 20 years—in exchange for publication of the invention. The purpose is to quickly make the product or process publicly available and discourage trade secrets by offering the inventor a legally enforceable market monopoly for a period of time (1). From glass staining patents in the 1440s to present-day CRISPR patents, the purpose has remained to encourage innovation. Patents are especially effective in the field of pharmaceuticals, where research and development costs can be prohibitive. To begin the process of acquiring a patent, an application is submitted to the designated government IP agency. The application is usually drafted with the help of a patent attorney and contains the names of the inventors, a description of the invention with figures, and a list of claims. The claims are the most essential part of the application; they outline the invention and define the precise legal boundaries of protection. Usually written by the attorney, claims should be descriptive enough to allow someone to make and use the invention without undue experimentation—though this is not always the case (2). But claims must also be vague enough to offer breadth of protection. For example, if you invent a new chemical reaction in ethanol, you might generalise to 'solvent' in the claim to prevent someone circumventing your patent simply by using another solvent e.g. isopropanol. This conflicting nature is what makes claim drafting an art form. Careful drafting aside, to be approved by the patent office, claims must satisfy three criteria: novelty, utility, and non-obviousness (1). Novelty is straightforward: Your invention must not exist in the public domain prior to application with the patent office. Communication avenues to avoid include conference abstracts, publications, and social forums like Facebook. Some countries, including the US, offer a grace period for disclosures by inventors only, but it's best to play it safe. To satisfy the second criteria, utility, your invention must be useful to living beings’ activity in a specific, substantial, and credible manner. Stating that your new molecule cures cancer without preliminary experiments is not a good idea. Finally, your patent claims must not comprise an 'obvious' improvement to an existing invention to someone ‘skilled in the art' in the relevant field. Here, ‘skilled’ usually means a specialist with some level of postgraduate education and several years of experience (1, 2). Deciding whether a claim satisfies this requisite tends to be highly subjective. With all three criteria in mind, the patent examiner will search through databases for 'prior art', defined as any evidence that your invention was already known, before rejecting part or all of the claims. This initiates a back and forth negotiating process, known as prosecution, between the inventor—alongside their attorney—and the examiner. With some luck and careful drafting, you'll walk away with some portion of your claims intact. A common misconception is that getting a patent gives one the right to use the invention. But this is not the case. A patent only provides the right to exclude others from using your patented invention, by allowing you to sue for infringement. Your invention cannot be freely marketed if it’s use would infringe on a different patent held by another owner, or if it is illegal - such as a drug not approved by the FDA (1). In this case you’d yourself be vulnerable to legal action. So you know how to get a patent, but what exactly can you patent? To quote the US Supreme Court, "anything under the sun that is made by man" is eligible (Diamond v. Chakrabarty). Exceptions include abstract ideas, laws of nature, natural phenomena, and natural products (2). Deciding whether a claimed invention falls under these categories is not trivial, and the boundaries evolve with each new patent application and lawsuit. A pivotal moment for the biotech industry came in 1980 when the US Supreme Court, in the Diamond v. Chakrabarty case, ruled that a living organism could be patented. The organism in question was a genetically modified bacterium capable of breaking down crude oil. Indeed, the invention was novel, not obvious at the time, and had translational potential, as it was intended to clean up oil spills. After much debate, the Court decided that because the bacterium had markedly different characteristics from its natural counterpart - namely the ability to digest oil - which was an effect of genetic manipulation of the bacterium in a scientific laboratory, it was 'made by man', and therefore could be patented. The exceptions in the natural products category were also defined in a 1911 lawsuit, whereby the courts ruled that a purified human hormone, adrenaline, was eligible for patent protection (Parke-Davis & Co. v. H.K. Mulford Co.). Adrenaline went on to revolutionise the medical profession, and the outcome of this lawsuit catalysed patent applications on isolated natural products. With precedent, researchers went on to obtain patents for naturally-occurring plasmids and nucleotides to entire human genes. The latter was spurred by the Human Genome Project, during which thousands of patents on genomic DNA, cDNA, ESTs, SNPs—you name it—were awarded (2,3). Patenting segments of naturally occurring DNA coding for proteins, i.e. genes, reached a surprising end in the landmark 2013 US Supreme Court case Associate for Molecular Pathology v. Myriad Genetics, Inc. The case concerned two human genes, BRCA1 and BRCA2, associated with breast and ovarian cancers. In the 1990's, a company called Myriad Genetics patented the two isolated genes with the goal of offering exclusive diagnostic testing services. Because it was the only company legally able to test for BRCA abnormalities, Myriad was able to get away with charging upwards of $3,000 USD per test (4). In addition to price gouging, Myriad aggressively enforced its patents by repeatedly suing other clinical diagnostics companies for infringement. Gene patents had already started generating controversy and increased public involvement, so conditions were ripe for judicial upheaval. Years of litigation ended in 2013 when the Supreme Court overturned the Myriad patents, ruling that 'naturally occurring' human genes cannot be patented because they are a 'product of nature’. Of note, this overturned not only the previous Parke-Davis ruling regarding patenting of natural products if isolated from their surroundings, but also all the claims that amassed regarding naturally-occurring genetic material since the 1980s. The decision was shocking considering the long-lived stability of gene patents, but it came at a time when the public had begun to pay more attention to business practices and the effects of aggressive patent monopolies. 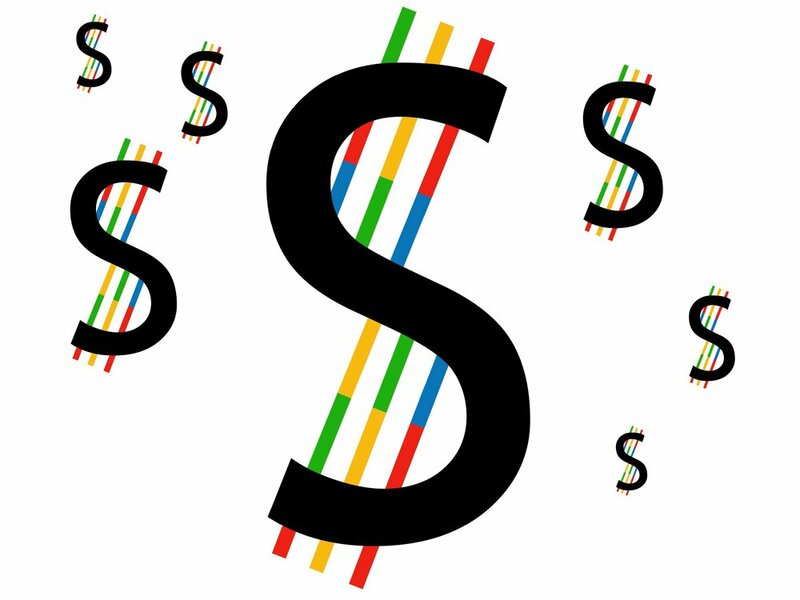 Within a day of the ruling, companies announced gene testing kits for only $1000 USD (4). The spirit of competition stayed alive and well. It is not unnatural to have extreme situations in this field of law, and extreme cases that do emerge often highlight the negative aspects associated with patenting rather than the positive ones. The Myriad lawsuit provides an example that patents can sometimes do more harm than good. Arguments over the patent system’s merits are widespread. Patents make medical treatment more expensive and can prevent patients from getting a second opinion, but there might be less incentive for developing treatments otherwise (5). Adequate regulations and a watchful public eye are necessary to protect against price gouging and bad business practices. Further, some scientists argue that patents hinder research by granting exclusive rights to a party that may or may not license the patented invention to others. A counter argument would be that patents instead encourage information sharing by disseminating inventions instead of encouraging trade secrets. This stimulates innovation by allowing academics to study the invention and improve upon it, as academics are protected by a 'research exclusion' allowing the use of patented material for non-commercial purposes (1). Patents originating in academia are usually owned by the respective university, which license patents for a fee to other non-profit institutions and even commercial companies (5). Although patent applications are required to detail an invention such that someone skilled in the art could reproduce it, the patent lexicon is usually verbose and overflowing with legal terminology. A Nature Biotech. study on patent readership published in 2017 reported that patents were regarded as “very hard to read”, “bloated with vagueness and useless information", and “generally not up to the standard of peer-reviewed published manuscripts.” (6). Highlighting the perception that patents are poorly written, only 40% of patent readers thought they could 'definitely' or 'probably' recreate the invention in the most recent patent they had read. However, many researchers will note that reproducibility is not unique to patents after struggling to replicate results published in top journals. On a more positive note, 72% of those reading for scientific reasons reported finding useful information in a recently read patent. According to the study, researchers in the fields of biotech and chemistry were most likely to use the patent literature as an information source (6). Best of all, patents are free to read and published online in easy-to-use databases, such as patents.google.com, which beats the expensive subscription fee to [insert your favourite prestigious journal here]. The overall consensus seems to be that patents would benefit from clearer writing, but serve as underused and cheaper auxiliary tools to published manuscripts. Patent attorneys should keep working to improve readability, and examiners should actively enforce these standards before accepting an application. As with many subjects, the patent issues, opinions and controversies in the field of biotech are hard to summarize. Ongoing areas of debate include more complex subjects such as stem cells, gene editing, and artificial intelligence, and patent law will continue to evolve with this technological landscape. Our growing dependency on increasingly intricate technology may require a court system better equipped to judge technical matters. Even Learned Hand, a revered American judge, acknowledged this in his 1911 ruling on the patentability of adrenaline when he wrote, “I cannot stop without calling attention to the extraordinary condition of the law which makes it possible for a man without a knowledge of even the rudiments of chemistry to pass upon such questions as these.” (Parke-Davis & Co. v. H.K. Mulford Co.). Researchers and lawyers must also be careful to avoid a tragedy of the anti-commons, where uncontrolled IP growth stalls research and prevents commercialisation of new ideas. Although there is room for improvement, the patent system remains a powerful incentive for innovation. It is indispensable to the biotech industry, where IP portfolios are a company’s crown jewels and a main method of attracting investment for nascent ventures. The various stakeholders—including researchers, patent lawyers, and entrepreneurs—must continue to scrutinise the patent system to ensure it fosters innovation and is administered in the collective best interest.